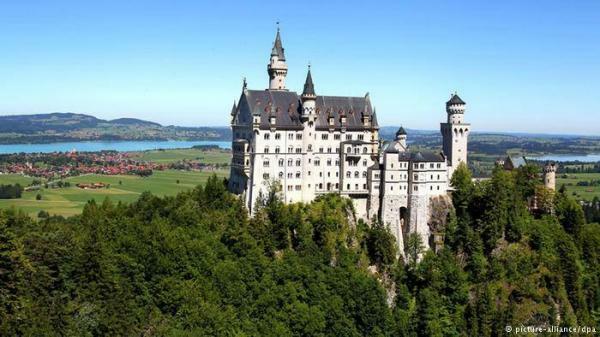 Romantic favorite among visitors Impressive castles and medieval towns are what capture the imaginations of travelers on the Romantic Road. It is the best known and most popular holiday route in Germany, covering some 400 kilometers leading through idyllic landscapes with rivers, forests, meadows and mountains. It begins in Würzburg and ends in Füssen, on the foot of the Alps. A highlight of the route is Neuschwanstein Castle.